On January 30th, 2016 (Saturday) Central City Brewing held their annual Winter Cask Festival. This is probably the marquee cask event in BC and I was happy to once again attend. This year the festival brought us 40 casks from breweries only found in British Columbia. This years ticket got you a branded sample glass with three samples tokens. More tokens could be purchased at the front desk. Like years past many of the casks swung to the Imperial side of things which makes sense as most winter beers are higher in alcohol. Like I mentioned before this is one of the best if not best Cask events in the entire province every year and it was not different this time. The beer was great and the people attending were awesome. I had great conversations that paired amazingly with the beer I was drinking. I wish more places in BC would hold pure cask events to this scale. My favourite beers of the night were a tie between two beers once again. If you have never attended a cask festival or one of Central City Brewing’s amazing cask festivals then you need to change it up and attend. Not only do you try great been but you will meet many new people that are really into Craft Beer. Once again it is time for the BC Beer Awards. 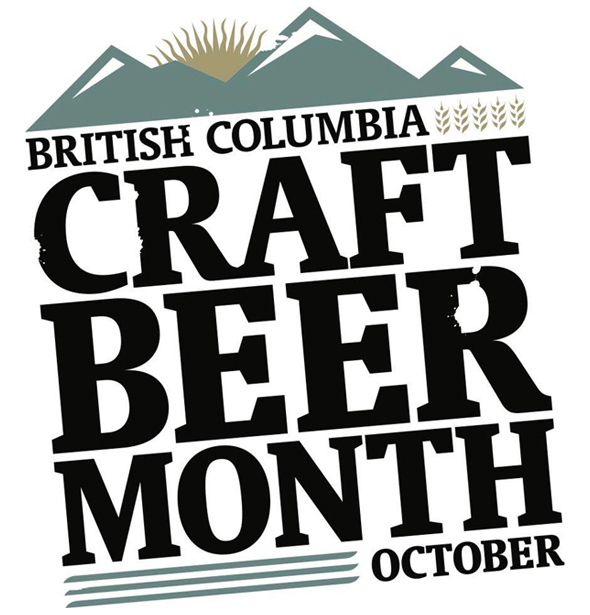 A time to celebrate the best beer being made in the province of British Columbia. The awards were held on October 24th, 2015 at the Croation Cultural Centre. I have been going to the BC Beer Awards since 2012 and this years awards were much like every year. The event started at 4pm and ended at 9pm with a beer festival happening during the event. This year the festival expanded to two rooms to accommodate all of the breweries that came out to celebrate the best BC has to offer. This year 56 Breweries and Cideries came out to celebrate. The breweries pouring were as follows: Bad Tattoo Brewing, BC Tree Fruits, Big Ridge Brewing, Big Rock Urban Brewery, Bomber Brewing, Bowen Island Brewing, Brassneck Brewery, Bridge Brewing, Callister Brewing, Category 12 Brewing, Central City Brewers & Distillers, Coal Harbour Brewing, Dead Frog Brewery, Doan’s Craft Brewing, Dogwood Brewing, Driftwood Brewery, Fernie Brewing, Four Winds Brewing, Fuggles & Warlock Craftworks, Granville Island Brewing, Hearthstone Brewery, Howe Sound Brewing, Kwantlen Polytechnic Uni Brewery, Left Field Cider, Lighthouse Brewing, Lonetree Cider, Main Street Brewing, Merridale Cider, Moody Ales, Moon Under Water Brewery, Off The Rail Brewing, Old Yale Brewing, Pacific Western Brewing, Parallel 49 Brewing, Persephone Brewing, Phillips Brewing, Powell Street Craft Brewery, R&B Brewing, Ravens Brewing, Real Cask Brewing, Red Arrow Brewing, Red Truck Beer, Ridge Brewing, Russell Brewing, Spinnakers Brewpub, Stanley Park Brewing, Steamworks Brewing, Steel & Oak Brewing, Strange Fellows Brewing, Tofino Brewing, Townsite Brewing, Tree Brewing, Twin Sails Brewing, Whistler Brewing, Yaletown Brewing, Yellow Dog Brewing. Once again Stephen Quinn of CBC Radio was the presenter for the awards. Once again the beer entered in this years BC Beer Awards has jumped in a big way. Last year there were 500 beers entered in 18 Categories . This year 70 breweries entered almost 800 beer in 20 Categories. To say this was a large increase is would be an understatement! Lets get to the winning beers of the year! Richards Buell Sutton Rookie of the Year Award went to Doan’s Craft Brewing Company. After the awards finished everyone got back to enjoying all of the great beer being poured especially the winners and the sours that were being poured as part of a competition on this night. This was once again an amazing event with amazing beer being poured as well as great people be it craft beer fans or brewery staff. Every year this event gets bigger and better! With more than 100 breweries expected to be open by next year in the province I expect this event to only grow! Here is to another year of sticking it to the flavourless garbage that macro breweries make. Once again like last year I helped set the festival up between 10am and 3pm. It makes the festival even more fun when you are able to get involved in any part of the event.